Are You Paying Taxes on Your Charitable Giving? Greenville, SC - If you are not strategizing your giving with your advisors, you may inadvertently be paying tax on your charitable gifts according to Marc A. Pitman, author of Ask Without Fear! and founder of FundraisingCoach.com. "Accountants, tax strategists, attorneys, and insurance agents are not able to read their clients' minds," says Pitman, "They only know about as much of your personal goals as you tell them." For example, Pitman says many well-intentioned donors sell appreciated stock to be able to pay a pledge or make a gift. This causes them to pay capital gains on the sale of that stock. "I'm not a tax expert so I recommend donors ask their advisors-tax, financial, insurance, and legal-before making a gift." One question Pitman suggests donors ask is whether they should give a gift of stock to a nonprofit. "Donors are often surprised to learn they can give the stock to a tax exempt nonprofit, receive full credit for the gift, and avoid paying capital gains." 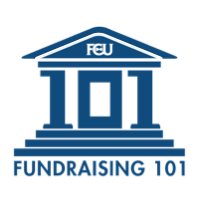 In addition to asking for money, Pitman sees his role as fundraiser as encouraging donors to talk to their team of advisors and helping give them the right questions to ask. "There's something very incredibly empowering about going to a meeting with an expert and being armed with strategic questions, even when the expert already has your best interests at heart." So be generous with your charitable giving, but be strategic as well.